Magnetic Catch | SIMOTEC (THAILAND) CO., LTD.
A magnetic catch is ideal for securing a cover or door! We can supply not only the standard product but also manufacture special products. It is suitable to fix a cabinet, TV rack and a front door, side door, cover of OA equipments such as a copier. 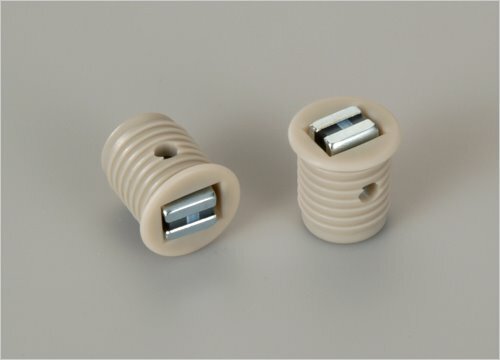 There are various types such as the standard type attached with screws, the type that can be attached by inserting into a hole, the type with a switch to turn an electric current ON and OFF, and stronger type applications that requires a Neodymium magnet. We have various standard products. We also design and produce special order products to your specification. 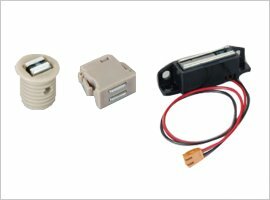 It is the standard magnetic catch product used for various applications such as attaching and securing covers and door etc. We also design and produce special order products to your specification. Benefit: It is effective when pulling a SPCC yoke (strike plate) through a brass connector. An economical type with a reasonable price. There is the stronger type using a Neodymium magnet. 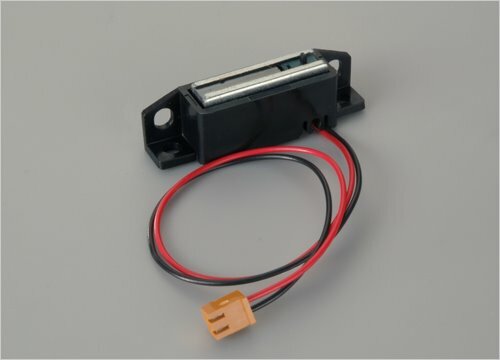 It is a magnetic catch attached without screws by inserting into a mounting hole. The switch and magnetic catch are integrated. Connection is by a one touch system. The power is very strong even though it is physically small. 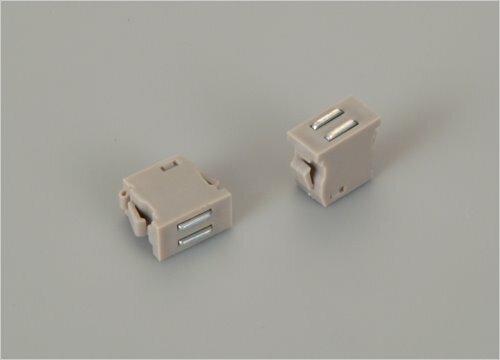 It can be attached easily by inserting into the mounting hole. It can be removed easily by using the special removal jig, and reused. There is a stronger type using a Neodymium magnet. 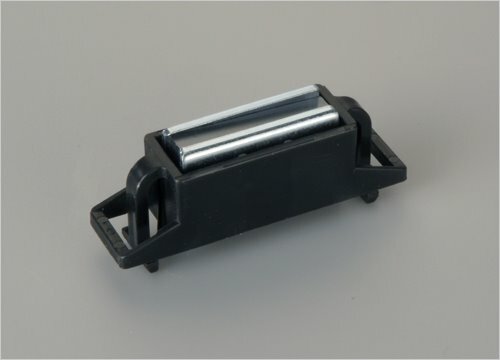 There is a type using a rubber magnet (CA-0164).